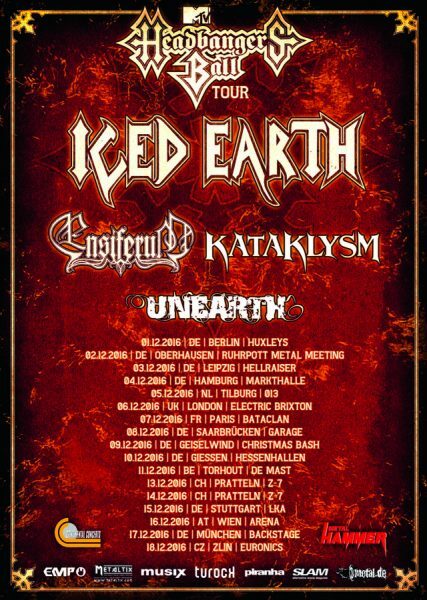 Kataklysm is set to return to Europe as part of the Headbangers Ball tour which kicks off in Germany on December 1st. Get all the details and more on this unmissable tour. MTV Headbangers Ball was broadcasted for the first time on April 18th, 1987 and quickly became one of the most popular shows on MTV. The show was on air for eight years in the USA and six years in Europe. Besides music videos, the show also featured interviews with bands as well as specials on particular acts or festivals. The “Triple Thrash Treat” section created a TV platform for more extreme forms of metal, a tradition continued by this series of live events. Just like the TV show, the festival tour aims at presenting the endless variety of metal music offering a platform for established artists as well as newcomers. 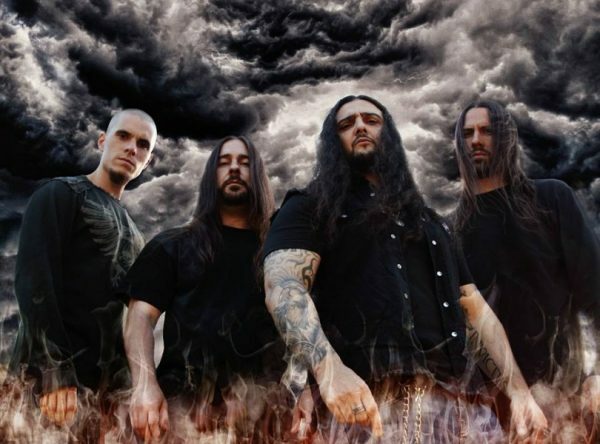 KATAKLYSM will present their current masterpiece Of Ghosts And Gods for another time on this upcoming tour, get more information on this link. Guitarist J-F Dagenais has tracked drums, guitars and bass for the album, while vocals were recorded by producer Mark Lewis (WHITECHAPEL, DEVILDRIVER, CANNIBAL CORPSE). The entire process was mixed and mastered in the UK by legendary producer Andy Sneap (MEGADETH, TESTAMENT, EXODUS, AMON AMARTH). The artwork from KATAKLYSM’s explosive new album was created by up-and-coming dark and macabre artist, Surtsey.